仪器简介：◆在国内最先推出的可自动倒样的全自动熔样机； ◆达到电热熔样机制造技术新高蜂的革命性成果； ◆相比高频，无需水冷、也没有电磁场辐射危害； ◆制样速率与高频相当，但电耗仅为其一半不到。 ◆The first fully automatic fusion machine in China even the filling of the fusion sample; ◆Revolutionary result reaching the new peak of technic of manufacturing fusion machine; ◆No fluid coolant required,no harm of electromagnetic radiation comparing with High Frequency induction; ◆Same throughput,half energy consumption comparing with High Frequency induction. 玻璃熔融法制成的试样能消除试样的粒度、矿物、偏析等效应，同时也可降低样品元素间的吸收和增强效应，会明显提高分析的精度和准确度，是目前X射线荧光分析的最佳制样方法。对于ICP、AA和湿法化学分析手段，对于难溶样品，熔融方法同样是一种非常完美的制样手段。 熔样机随着近几年来国内生产厂家的涌现和推广而在国内得到一定量的应用，但相比先进国家使用率还太低，主要是因为国内的熔样机质量还太差，价格还不够便宜。 DY521型全自动熔样机是本公司科研人员在公司原有熔样机和当今国际市场上同类制样设备的基础上，研制完成的达到电热熔样机制造技术新高蜂的革命性成果，是在国内最先推出的可自动倒样的全自动熔样机。由于其优异的性能和便宜的价格，定将使原来由于经济原因暂不用熔样机的用户也能使用它。DY521型全自动熔样机的推出，定将迅速普及熔融制样法，从而提高我国分析界制样的水平，为各行各业带来巨大的经济效益。技术参数：最高使用温度：1250℃，连续可调； 测温单元：2根铂铑热电偶，最高测温1600℃； 制样速率：5～7个样品小时； 额定功率：1200W； 电源：AC220～240V，50～60Hz； 尺寸（高×宽×深）：430mm×410mm×430mm; 重量：27kg。 Maximum usable temperature: 1250℃, continuously adjustable; Temperature measurement unit: 2 Pt-Rh thermocouples; Throughput: 5～7sampleshour; Wattage: 1200W; Power supply: AC220～240V, 50～60Hz; Dimension(Height× Width×Depth): 430mm× 410mm× 430mm; Weight: 27kg。主要特点：◆全自动 整个制样过程完全自动进行，包括将熔样注入成型模具中。 ◆高精度 坩埚和模具由完全独立的加热系统加热，采用铂铑热电偶测温，直接接触坩埚和模具，对坩埚和模具中的熔融温度达到准确和精确的测量和控制。 ◆高均质化 坩埚在旋转时倾斜着，保证在最短的时间内有效地搅动熔样，使熔样达到极高的均质化。 ◆高光洁度 熔样成型分开进行，模具的光洁度能长期保持较高（几个月），保证了样品的高光洁度。若坩埚同时兼作模具，则样品在熔融过程中对铂金坩埚的破坏使坩埚内壁会变得粗糙，一般几天得抛光一次（还会损失白金），但由于不能保证抛光和使用的频率，光洁度的一致性就得不到保证。 ◆高再现性 全自动、高精度、高均质化和高光洁度保证了样品的高再现性，从而真正做到经本熔样机同一制样程序制备的不同样品仅是其成分不同而没有其他不同。 ◆高产量 二个样品可重叠处理，即在前一个样品冷却的同时对第二个样品进行加热，从而节约了时间，提高了制样速率。 ◆环保节能 无需用水也没有电磁场辐射危害（如高频），无需用气也没有有毒产物（如燃气式），无需大功率电源（如高频和以前的电热式）。采用最新的保温材料，最小巧的熔样室设计，使耗能小于普通的电吹风。 ◆使用方便 即插即用，无需安装，你只需一个220V、10A的普通插座。 菜单式操作，实时温度、过程大屏幕显示，制样过程中无需人工监视。 可预先自由设定最多达10个加热制样程序，其加热过程、升温速度、预氧化温度、最终温度、坩埚旋转速度、旋转起始温度、冷却时间、是否用风扇、风量大小等均可预先设定。选定程序后只需按[开始]键即可，真正实现一键操作。 ◆高可靠性 应用最简单的电阻丝加热原理，电路、结构简单，保证了熔样机的高可靠性。 ◆高性价比 价格便宜，无需耗材，维护维修成本极低。精致而紧凑的设计，占用很小的实验室空间。功能强大，性能卓越。是真正的高性价比产品。 ◆Fully automatic Even the filling of the fusion sample. 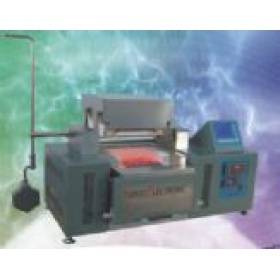 ◆Superior accuracy Completely independent heaters for crucible and mold for optimal temperature control and measure. ◆Homogenization Crucible is rotated while inclined, efficient agitation and superior homogenization of the melt, in less time. ◆Smoothness Fusing and molding are processed separately. ◆Superior reproducibilityFully automatic, superior accuracy, homogenization and smoothness ensure the superior reproducibility of the sample; all samples are uniformly the same except for the differences in composition. ◆Productivity Overlapped processing of two samples: up to 50% time savings vs. other machines. ◆Economical Minimal heat dissipation: casing remains cool;uses only a regular electrical outlet (consumes less than a hair dryer). Elegant and compact design.Takes up less space in the laboratory. ◆User-friendlyPlug-and-play: installs in seconds. Virtually maintenance-free; easy component access.Real-time temperature display,Operates free of supervision.Easy loading of crucibles,molds and beakers.10 independent and user-customizable programs available. ◆Reliable Made with an electrical Joule-effect . 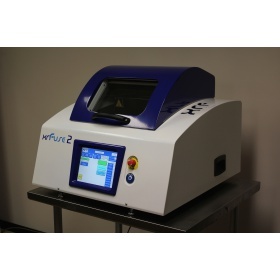 ◆Versatility XRF, AA and ICP fusion machine: both disk and solution unitsincluded. Can also readily do peroxide or pyrosulfate fusions. 仪器简介：◆可4个样同时熔融，自动摇摆，自动控制； ◆成型模具自动加热，自动冷却，自动成型； ◆大屏幕中文显示，过流过温自动报警切断； ◆可自由设定加温过程，预存多个加温程序。 X射线荧光分析对于粉末样品，目前采用直接压片法制备试样较为普遍，但由于粒度、矿物、偏析等效应的影响，势必带来分析误差，降低元素分析的精密度与准确度，样品制备已经成为一个主要的误差因素。玻璃熔融法制成的试样能消除试样的粒度、矿物、偏析等效应，同时也可降低样品元素间的吸收和增强效应，会明显提高分析的精度和准确度。对于ICP、AA和湿法化学分析手段，对于难溶样品，熔融方法同样是一种非常完美的制样手段。 多年来国内所采用的熔融设备均依赖进口，价格非常昂贵，针对这种局面，本公司科研人员于2002年开发完成了填补国内空白的DY501型电热熔融设备。它吸取了当今国际市场上同类制样设备的优点，其主要性能达到甚至超过国外同类产品。由于其优异的性能和合理的价格，定将取代进口产品，并使原来由于经济原因暂不用熔融设备的用户也能使用它。DY501型电热熔融设备的推出，定将迅速普及熔融制样法，从而提高我国分析界制样的水平，为各行各业带来巨大的经济效益。 Four samples fused simultaneously, with auto-shaking and auto control Auto control means the melting, shaking and standing steps are all precisely repeatable Large screen display; auto-alarm and automatic power switching off for overcurrent and overheat Customizable heating process, with several heating programs preset Currently, powdered samples for X-ray fluorescence analysis are usually directly pressed into sample pieces. But that kind of sampling has become a major error factor impacting the precision and accuracy of the element analysis due to the granularity effect, mineral effect and segregation effect of the sample pieces. The bead fusion method can eliminate the granularity, mineral and segregation effects of the samples, and can reduce the absorption and enhancement effects between the elements in the sample, and hence evidently increase the precision and accuracy of the analysis. This bead fusion method is a perfect sampling method for ICP, AA, as well as for indissolvable samples in wet chemical analysis. For many years, the fusion machine used in China were all imported from abroad at very high price. 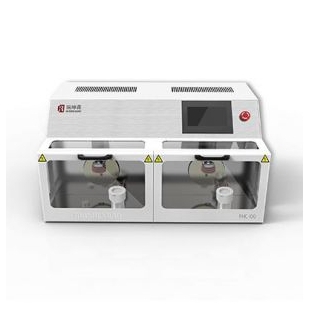 To fill up that gap in Chinese science and technology, the research and development personnel in our company developed the DY501 Electroheat Fusion Machine in the year 2002. 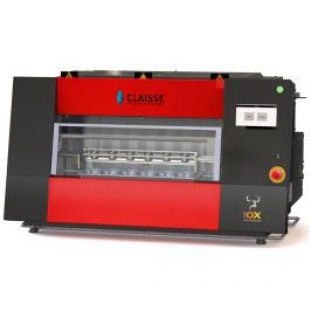 This fusion machine absorbed the advantages of all the fusion machine of the same kind in the international markets, with key properties up to or even better than those of the overseas products. With its excellent performance and reasonable price, it will take the place of the imported products and can be affordable for the users which are currently not using fusion units just because of economic reasons. 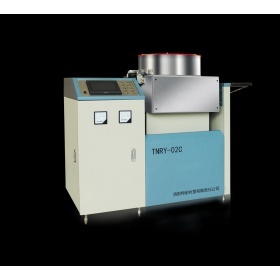 The popularization of the DY501 Electroheat Fusion Machine will rapidly promote the bead fusion method in China and hence improve the sampling quality of the element analysis, which can bring tremendous economic benefit for every industry or trade.技术参数：加热单元：3根双螺旋单端硅碳棒； 最大温度：1250℃，连续可调； 测温单元：2根铂铑热电偶，最高测温1600℃； 容量：同时熔融4个样品（可根据用户要求增加到6个）； 功率：6kw; 电源：380-415V,50-60Hz，三相; 尺寸（高×宽×深）：500mm×1217mm×500mm; 重量：115kg. 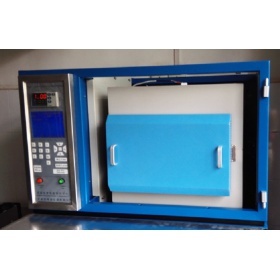 Heating unit: 3 pieces of double helix ,single-end, silicon carbide rod Maximum Temperature: 1250℃,continuously adjustable Temperature measurement unit: 2 pieces of platinum-rhodium thermocouple, with maximum measurable temperature 1600℃ Capacity: 4 samples simultaneously (maximum 6 samples if required by user) Wattage: 6kw Power supply: 380-415V,50-60Hz，three phase Dimension(Height×Width× Depth): 500mm×1217mm×500mm Weight: 115kg主要特点：◆采用CPU微机及PID控制技术，大屏幕中文显示,菜单式操作； ◆双螺旋硅碳棒加热，铂铑热电偶测温； ◆最多可同时熔融4个样品（可根据用户要求增加到6个）； ◆可预先自由设定最多达10个加热制样程序，其加热过程，升温速度，最终温度，坩埚架摇摆时间、幅度、速度，冷却时间，是否用风扇，风量大小等均可预先设定； ◆除熔融样注入成型模具采用手动外，其他均自动控制，保证了样品的一致性和均匀性，真正做到不同样品仅是其成分不同而没有其他不同； ◆坩埚及成型模具的支架采用耐高温合金钢制成,保证在高温状态下无任何化学反应； ◆熔样室盖打开装置采用链轮杠杆结构，操作轻松自如； ◆具有最低启动温度报警，打开熔样室断电?；?； ◆具有过流、过温断电?；げ⒈ň?，并且过温断电?；げ捎糜爰尤戎蒲懒⒌娜鹊缗疾馕?，与加热控制电路一起组成三重?；?，使过温断电?；じ煽?。 Applies CPU microprocessor and PID control technique, large screen Chinese display, and menu operation Heating with double helix silicon carbide rod; temperature measured with platinum-rhodium thermocouple Up to 4 samples can be fused simultaneously (maximum 6 samples if required by user) Up to 10 customized heating programs can be preset; within the programs, the heating process, the temperature increase speed, the final temperature, the shaking time, shaking amplitude, and shaking speed of the crucible stool, the cooling time, whether to use fans, the air flow, and so on, all can be preset. Automatic control in all the process except for the filling of the fusion sample, enabling the sameness and homogeneity of the sample; all samples are uniformly the same except for the differences in composition The bracket of the crucible and the mould are made of high temperature alloy, which guarantees no chemical reaction in high temperature Chain wheel lever structure is used in the opening device of the cover of the fusion room, trouble-free for user operation With minimum start temperature alarm and power switch-off protection when the cover of the fusion room is open Automatically switching off power and setting alarm for overcurrent and overheat; independent temperature measurement thermocouples are used for overheat protection and heating control; together with the heating control circuit, they can form treble protection of the system and can make the power switch-off protection for overheat more reliable. 仪器简介：X射线荧光分析对于粉末样品，目前采用直接压片法制备试样较为普遍，但由于粒度、矿物、偏析等效应的影响，势必带来分析误差，降低元素分析的精密度与准确度，样品制备已经成为一个主要的误差因素。玻璃熔融法制成的试样能消除试样的粒度、矿物、偏析等效应，同时也可降低样品元素间的吸收和增强效应，会明显提高分析的精度和准确度。对于ICP、AA和湿法化学分析手段，对于难溶样品，熔融方法同样是一种非常完美的制样手段。 多年来国内所采用的熔融设备均依赖进口，价格非常昂贵，针对这种局面，本公司科研人员于2002年开发完成了填补国内空白的DY501型电热熔融设备。它吸取了当今国际市场上同类制样设备的优点，其主要性能达到甚至超过国外同类产品。由于其优异的性能和合理的价格，定将取代进口产品，并使原来由于经济原因暂不用熔融设备的用户也能使用它。DY501型电热熔融设备的推出，定将迅速普及熔融制样法，从而提高我国分析界制样的水平，为各行各业带来巨大的经济效益。 Currently,powderedsamplesforX-rayfluorescenceanalysisareusuallydirectlypressedintosamplepieces.Butthatkindofsamplinghasbecomeamajorerrorfactorimpactingtheprecisionandaccuracyoftheelementanalysisduetothegranularityeffect,mineraleffectandsegregationeffectofthesamplepieces.Thebeadfusionmethodcaneliminatethegranularity,mineralandsegregationeffectsofthesamples,andcanreducetheabsorptionandenhancementeffectsbetweentheelementsinthesample,andhenceevidentlyincreasetheprecisionandaccuracyoftheanalysis.ThisbeadfusionmethodisaperfectsamplingmethodforICP,AA,aswellasforindissolvablesamplesinwetchemicalanalysis. Formanyyears,thefusionmachineusedinChinawereallimportedfromabroadatveryhighprice.TofillupthatgapinChinesescienceandtechnology,theresearchanddevelopmentpersonnelinourcompanydevelopedtheDY501ElectroheatFusionMachineintheyear2002.Thisfusionmachineabsorbedtheadvantagesofallthefusionmachineofthesamekindintheinternationalmarkets,withkeypropertiesuptoorevenbetterthanthoseoftheoverseasproducts.Withitsexcellentperformanceandreasonableprice,itwilltaketheplaceoftheimportedproductsandcanbeaffordablefortheuserswhicharecurrentlynotusingfusionunitsjustbecauseofeconomicreasons.ThepopularizationoftheDY501ElectroheatFusionMachinewillrapidlypromotethebeadfusionmethodinChinaandhenceimprovethesamplingqualityoftheelementanalysis,whichcanbringtremendouseconomicbenefitforeveryindustryortrade. 公司简介 INTRODUCTION 上海宇索电子科技有限公司是由长期致力于X荧光分析仪销售服务和研究开发的技术人员合资成立的一家高科技企业。公司的创办者在长期的X荧光分析仪的销售服务和研究开发中深切地体会到样品制备对荧光分析的重要性，而最好的样品制备方法就是玻璃熔融法，但当时国内所采用的熔融设备均依赖进口，价格又非常昂贵，所以成立了本公司。 本公司在2002年成立后的短短一年时间里，就开发完成了填补国内空白的DY501型电热熔融设备。至2005年，DY501型电热熔融设备的用户已达近百家，并受到用户的一致好评。公司现有科技人员多名，其中高级工程师3名，博士1名，现正研究开发DY511型全自动电热熔融设备和DY521型全自动单头实验室用小型电热熔融设备，并将于2006年中推向市场。 本公司是样品熔融的专家，分析的好帮手。 ShanghaiYusuoElectronicS&TCo.Ltd.isahightechnologyenterpriseestablishedbytheexperiencedpeoplewhofocusonthesales,serviceandresearchofX-Rayanalysisinstrumentmanyyears.AsthebeadfusioniswidelyrecognizedasvaluablemeansinX-Rayanalysis,whichcanimprovethereliabilityoftheanalysisresults,butinChinaallthefusionmachinehastoimported,whichveryexpensiveandresponsetimeofserviceisverylong.ToprovidelocalChinasolution,ShanghaiYusuoElectronicS&TCo.,Ltdwassetupon2002. Oneyearafterthe2002,thecompanyintroducedDY501electroheatfusionmachine.Tillnow,therearearoundhundredsystemsusinginChina,whichmakeDY501averypopularfusionmachine.Nowthecompanyhasmanytechnicaldevelopingpersons,threeofthemareseniorengineersandonedoctor.NowthenewmodelDY511fullyautomaticelectroheatfusionmachineandDY521fullyautomaticminielectroheatfusionmachineisunderdeveloping,andwillintroduceinthemidof2006. Yusuo,theexpertonbeadfusion,yourassistantonanalysis. 部分用户名单 常州中天钢铁(2台) 苏钢集团公司 紫金矿业股份公司 江苏沙钢集团公司(2台) 内蒙古霍煤鸿骏铝电公司 郑州轻金属研究院 南京梅山矿冶有限公司 天津钢厂(4台) 武汉理工大学 贵阳地球化学研究所 柳州钢铁股份有限公司 湘潭钢铁集团有限责任公司(3台) 江西景德镇陶瓷学院 广东省环境?；ぜ嗖庹? 湛江出入境检验检疫局 广东省韶钢集团有限责任公司(2台) 中国科学上海硅酸盐研究所 合肥中皖化学试剂有限公司 泰山玻璃纤维股份有限公司 贵州六盘水市水钢新建炼纲工程 福建省三明市钢厂(2台) 华南理工大学分析测试中心 浙江省师范大学旅游学院 安徽省铜都铜业股份公司金昌冶炼厂 中国科学院西安地球环境研究所 安徽皖维高新材料股份有限公司水泥分公司 技术参数：加热单元：3根双螺旋单端硅碳棒； 最大温度：1250℃，连续可调； 测温单元：2根铂铑热电偶，最高测温1600℃； 容量：同时熔融4个样品（可根据用户要求增加到6个）； 功率：6kw; 电源：380-415V,50-60Hz，三相; 尺寸（高宽深）：500mm1217mm500mm; 重量：115kg. 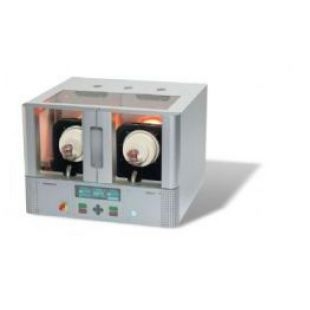 Heating unit: 3 pieces of double helix ,single-end, silicon carbide rod Maximum Temperature: 1250℃,continuously adjustable Temperature measurement unit: 2 pieces of platinum-rhodium thermocouple, with maximum measurable temperature 1600℃ Capacity: 4 samples simultaneously (maximum 6 samples if required by user) Wattage: 6kw Power supply: 380-415V,50-60Hz，three phase Dimension(Height x Width x Depth): 500mm1217mm500mm Weight: 115kg主要特点：◆采用CPU微机及PID控制技术，大屏幕中文显示,菜单式操作； ◆双螺旋硅碳棒加热，铂铑热电偶测温； ◆最多可同时熔融4个样品（可根据用户要求增加到6个）； ◆可预先自由设定最多达10个加热制样程序，其加热过程，升温速度，最终温度，坩埚架摇摆时间、幅度、速度，冷却时间，是否用风扇，风量大小等均可预先设定； ◆除熔融样注入成型模具采用手动外，其他均自动控制，保证了样品的一致性和均匀性，真正做到不同样品仅是其成分不同而没有其他不同； ◆坩埚及成型模具的支架采用耐高温合金钢制成,保证在高温状态下无任何化学反应； ◆熔样室盖打开装置采用链轮杠杆结构，操作轻松自如； ◆具有最低启动温度报警，打开熔样室断电?；?； ◆具有过流、过温断电?；げ⒈ň?，并且过温断电?；げ捎糜爰尤戎蒲懒⒌娜鹊缗疾馕?，与加热控制电路一起组成三重?；?，使过温断电?；じ煽?。 Applies CPU microprocessor and PID control technique, large screen Chinese display, and menu operation Heating with double helix silicon carbide rod; temperature measured with platinum-rhodium thermocouple Up to 4 samples can be fused simultaneously (maximum 6 samples if required by user) Up to 10 customized heating programs can be preset; within the programs, the heating process, the temperature increase speed, the final temperature, the shaking time, shaking amplitude, and shaking speed of the crucible stool, the cooling time, whether to use fans, the air flow, and so on, all can be preset. Automatic control in all the process except for the filling of the fusion sample, enabling the sameness and homogeneity of the sample; all samples are uniformly the same except for the differences in composition The bracket of the crucible and the mould are made of high temperature alloy, which guarantees no chemical reaction in high temperature Chain wheel lever structure is used in the opening device of the cover of the fusion room, trouble-free for user operation With minimum start temperature alarm and power switch-off protection when the cover of the fusion room is open Automatically switching off power and setting alarm for overcurrent and overheat; independent temperature measurement thermocouples are used for overheat protection and heating control; together with the heating control circuit, they can form treble protection of the system and can make the power switch-off protection for overheat more reliable. 仪器简介：◆在国内最先推出的可自动倒样的全自动熔样机； ◆达到电热熔样机制造技术新高蜂的革命性成果； ◆相比高频，无需水冷、也没有电磁场辐射危害； ◆制样速率与高频相当，但电耗仅为其一半不到。 样品熔融的专家 分析的好帮手 （XRF、AA、ICP、湿法化学） 简介： 玻璃熔融法制成的试样能消除试样的粒度、矿物、偏析等效应，同时也可降低样品元素间的吸收和增强效应，会明显提高分析的精度和准确度，是目前X射线荧光分析的最佳制样方法。对于ICP、AA和湿法化学分析手段，对于难溶样品，熔融方法同样是一种非常完美的制样手段。 熔样机随着近几年来国内生产厂家的涌现和推广而在国内得到一定量的应用，但相比先进国家使用率还太低，主要是因为国内的熔样机质量还太差，价格还不够便宜。 DY521型全自动熔样机是本公司科研人员在公司原有熔样机和当今国际市场上同类制样设备的基础上，研制完成的达到电热熔样机制造技术新高蜂的革命性成果，是在国内最先推出的可自动倒样的全自动熔样机。由于其优异的性能和便宜的价格，定将使原来由于经济原因暂不用熔样机的用户也能使用它。DY521型全自动熔样机的推出，定将迅速普及熔融制样法，从而提高我国分析界制样的水平，为各行各业带来巨大的经济效益。 公司简介： 上海宇索实业有限公司（其前身为上海宇索电子科技有限公司）是国内最早成立的专业从事熔融设备研制的企业。公司由长期致力于X荧光分析仪销售服务和研究开发的技术人员合资成立。公司的创办者在长期的X荧光分析仪的销售服务和研究开发中深切地体会到样品制备对荧光分析的重要性，而最好的样品制备方法就是玻璃熔融法，但当时国内所采用的熔融设备均依赖进口，价格又非常昂贵，所以成立了本公司。 本公司技术力量雄厚，拥有科技人员多名，其中高级工程师3名，博士1名。公司在2002年成立后的短短一年时间里，就开发完成了填补国内空白的DY501型电热熔融设备，至2007年，DY501型电热熔融设备的用户已达数百家，并受到用户的一致好评。2008年初，本公司最先在国内推出了达到电热熔样机制造技术新高蜂的DY521型全自动熔样机。现正在研究开发全自动多头熔样机、金属熔样机等其他熔融设备，并将于几年后陆续推向市场。 本公司是样品熔融的专家，分析的好帮手。 ◆The first fully automatic fusion machine in China even the filling of the fusion sample; ◆Revolutionary result reaching the new peak of technic of manufacturing fusion machine; ◆No fluid coolant required,no harm of electromagnetic radiation comparing with High Frequency induction; ◆Same throughput,half energy consumption comparing with High Frequency induction. The Expert on Bead Fusion Your Assistant on Analysis (XRF,AA,ICP,Wet Chemistry)技术参数：最高使用温度：1250℃，连续可调； 测温单元：2根铂铑热电偶，最高测温1600℃； 制样速率：5～7个样品小时； 额定功率：1200W； 电源：AC220～240V，50～60Hz； 尺寸（高宽深）：430mm410mm430mm; 重量：27kg。 Maximum usable temperature: 1250℃, continuously adjustable; Temperature measurement unit: 2 Pt-Rh thermocouples; Throughput: 5～7sampleshour; Wattage: 1200W; Power supply: AC220～240V, 50～60Hz; Dimension(Height x Width x Depth): 430mm410mm430mm; Weight: 27kg。主要特点：◆全自动 整个制样过程完全自动进行，包括将熔样注入成型模具中。 ◆高精度 坩埚和模具由完全独立的加热系统加热，采用铂铑热电偶测温，直接接触坩埚和模具，对坩埚和模具中的熔融温度达到准确和精确的测量和控制。 ◆高均质化 坩埚在旋转时倾斜着，保证在最短的时间内有效地搅动熔样，使熔样达到极高的均质化。 ◆高光洁度 熔样成型分开进行，模具的光洁度能长期保持较高（几个月），保证了样品的高光洁度。若坩埚同时兼作模具，则样品在熔融过程中对铂金坩埚的破坏使坩埚内壁会变得粗糙，一般几天得抛光一次（还会损失白金），但由于不能保证抛光和使用的频率，光洁度的一致性就得不到保证。 ◆高再现性 全自动、高精度、高均质化和高光洁度保证了样品的高再现性，从而真正做到经本熔样机同一制样程序制备的不同样品仅是其成分不同而没有其他不同。 ◆高产量 二个样品可重叠处理，即在前一个样品冷却的同时对第二个样品进行加热，从而节约了时间，提高了制样速率。 ◆环保节能 无需用水也没有电磁场辐射危害（如高频），无需用气也没有有毒产物（如燃气式），无需大功率电源（如高频和以前的电热式）。采用最新的保温材料，最小巧的熔样室设计，使耗能小于普通的电吹风。 ◆使用方便 即插即用，无需安装，你只需一个220V、10A的普通插座。 菜单式操作，实时温度、过程大屏幕显示，制样过程中无需人工监视。 可预先自由设定最多达10个加热制样程序，其加热过程、升温速度、预氧化温度、最终温度、坩埚旋转速度、旋转起始温度、冷却时间、是否用风扇、风量大小等均可预先设定。选定程序后只需按[开始]键即可，真正实现一键操作。 ◆高可靠性 应用最简单的电阻丝加热原理，电路、结构简单，保证了熔样机的高可靠性。 ◆高性价比 价格便宜，无需耗材，维护维修成本极低。精致而紧凑的设计，占用很小的实验室空间。功能强大，性能卓越。是真正的高性价比产品。 ◆Fully automatic Even the filling of the fusion sample. 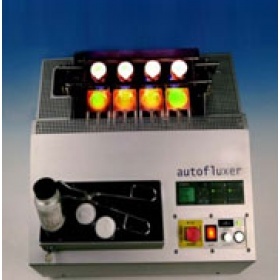 ◆Superior accuracy Completely independent heaters for crucible and mold for optimal temperature control and measure. ◆Homogenization Crucible is rotated while inclined, efficient agitation and superior homogenization of the melt, in less time. ◆Smoothness Fusing and molding are processed separately. ◆Superior reproducibilityFully automatic, superior accuracy, homogenization and smoothness ensure the superior reproducibility of the sample; all samples are uniformly the same except for the differences in composition. 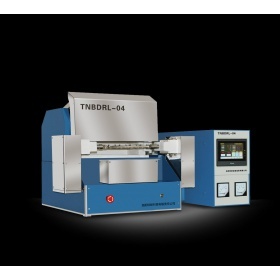 ◆Productivity Overlapped processing of two samples: up to 50% time savings vs. other machines. ◆Economical Minimal heat dissipation: casing remains cool;uses only a regular electrical outlet (consumes less than a hair dryer). Elegant and compact design.Takes up less space in the laboratory. ◆User-friendlyPlug-and-play: installs in seconds. Virtually maintenance-free; easy component access.Real-time temperature display,Operates free of supervision.Easy loading of crucibles,molds and beakers.10 independent and user-customizable programs available. ◆Reliable Made with an electrical Joule-effect . 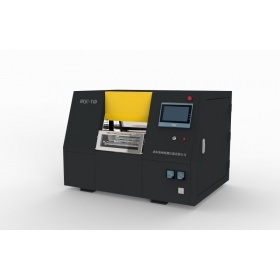 ◆Versatility XRF, AA and ICP fusion machine: both disk and solution unitsincluded. Can also readily do peroxide or pyrosulfate fusions. ◆国内最先推出的可自动倒样的多头电热熔样机;◆可4个或6个样同时熔融、自动摇摆、自动倒样;◆相比高频，无需水冷、也没有电磁场辐射危害;◆制样速率大于高频，但电耗仅为其一半不到?！鬞he first full automatic multi-sample fusion machine in China even the filling of the fusion sample;◆Up to 4 or 6 samples can be fused simultaneously, shaking and filling automatically;◆No fluid coolant required,no harm of electromagnetic radiation comparing with High Frequency induction;◆More throughput,half energy consumption comparing with High Frequency induction.简介：玻璃熔融法制成的试样能消除试样的粒度、矿物、偏析等效应，同时也可降低样品元素间的吸收和增强效应，会明显提高分析的精度和准确度，是目前X射线荧光分析的最佳制样方法。对于ICP、AA和湿法化学分析手段，对于难溶样品，熔融方法同样是一种非常完美的制样手段。熔样机随着近几年来国内生产厂家的涌现和推广而在国内得到一定量的应用，但相比先进国家使用率还太低，主要是因为国内的熔样机质量还太差，价格还不够便宜。DY511型全自动多头熔样机是本公司科研人员在公司原有熔样机和当今国际市场上同类制样设备的基础上，研制完成的达到电热熔样机制造技术新高蜂的革命性成果，是在国内最先推出的可自动倒样的全自动多头熔样机。由于其优异的性能和便宜的价格，定将使原来由于经济原因暂不用熔样机的用户也能使用它。DY511型全自动多头熔样机的推出，定将迅速普及熔融制样法，从而提高我国分析界制样的水平，为各行各业带来巨大的经济效益。Brief Intoduction:The bead fusion method can eliminate the granularity, mineral and segregation effects of the samples, and can reduce the absorption and enhancement effects between the elements in the sample, and hence evidently increase the precision and accuracy of the analysis. 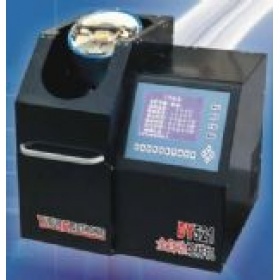 This bead fusion method is a optimum sampling method for X ray fluorescence analysis, as well as a perfect sampling method for ICP, AA, and for indissolvable samples in wet chemical analysis.Fusion Machine has a certain amount of domestic applications due to the emergence of domestic manufacturers and promotion in recent years. 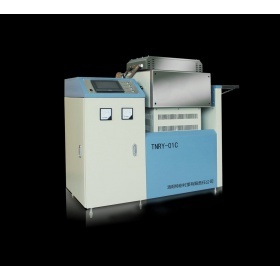 However, the usage is still too low compared with advanced countries, primarily because of the poor quality of domestic fusion machine and high price.DY511 Automatic Electroheat Fusion Machine is developed by the company’s researchers based on the original fusion machines and the same preparation equipment in current international market, as the revolutionary result reaching to the new peak of electroheat fusion machine manufacturing technology. 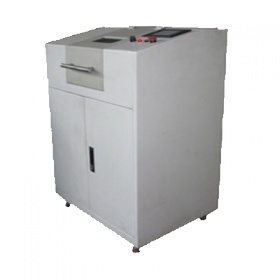 It is the first fully automatic multi-sample fusion machine with automatic filling of fusion sample. 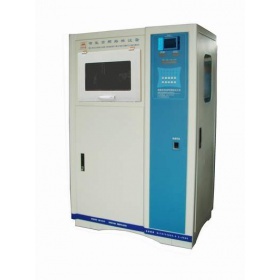 With excellent performances and reasonable price, the fusion machine can be affordable for the users who do not use fusion devices temporarily due to economic reasons. 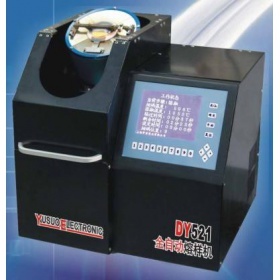 The launch of DY511 Automatic Electroheat Fusion Machine will rapidly popularize bead fusion method, thus improving the sampling quality of domestic analysis industry and bringing tremendous economic benefit for every industry or trade.特点：◆全自动 整个制样过程完全自动进行，包括熔样室的打开、摇篮及模具支架的进出、摇篮的摇摆、将熔样注入成型模具中等?！舾呔? 采用铂铑热电偶测温，对坩埚和模具中的熔融温度达到准确和精确的测量和控制?！舾呔驶? 坩埚在摇篮中摇摆，保证在最短的时间内有效地搅动熔样，使熔样达到极高的均质化?！舾吖饨喽? 熔样成型分开进行，模具的光洁度能长期保持较高（几个月），保证了样品的高光洁度。若坩埚同时兼作模具，则样品在熔融过程中对铂金坩埚的破坏使坩埚内壁会变得粗糙，一般几天得抛光一次（还会损失白金），但由于不能保证抛光和使用的频率，光洁度的一致性就得不到保证?！舾咴傧中? 全自动、高精度、高均质化和高光洁度保证了样品的高再现性，从而真正做到经本熔样机同一制样程序制备的不同样品仅是其成分不同而没有其他不同?！舾卟? 最多可同时熔融4个样品（可根据用户要求增加到6个）。最大制样速率达到36个样品小时?！艋繁＝谀? 无需用水也没有电磁场辐射危害（如高频），无需用气也没有有毒产物（如燃气式），无需大功率电源（如高频）。采用最新的保温材料，最小巧的熔样室设计，使耗能降到最低?！羰褂梅奖? 菜单式操作，实时温度、过程大屏幕显示，制样过程中无需人工监视?？稍は茸杂缮瓒ㄗ疃啻?0个加热制样程序，其加热过程、升温速度、预氧化温度、最终温度、坩埚摇摆幅度和速度、摇摆起始温度、冷却时间、是否用风扇、风量大小等均可预先设定。选定程序后只需按[启动]键即可，真正实现一键操作?！舾呖煽啃? 应用单端双螺旋硅碳棒加热，电路、结构简单，保证了熔样机的高可靠性。具有最低启动温度报警，具有过流、过温断电?；げ⒈ň?，并且过温断电?；げ捎糜爰尤戎蒲懒⒌娜鹊缗疾馕?，与加热控制电路一起组成三重?；?，使过温断电?；じ煽??！舾咝约郾? 价格便宜，维护维修成本极低。摇篮及模具支架采用耐高温合金钢制成, 保证在高温状态下无任何化学反应。精致而紧凑的设计，占用很小的实验室空间。功能强大，性能卓越。是真正的高性价比产品。Features◆Fully automatic The whole sample preparation process is carried out automatically, even the filling of the fusion sample in the forming mould.◆Superior accuracy The temperature is measured by platinum-rhodium thermocouple which can accurately measure and control the fusion temperature in the crucible and forming mould.◆Homogenization The crucible is shaking in the bracket of the crucible, which ensures the effective agitation in the shortest time and achieves superior homogenization of the fusion sample.◆Smoothness Fusing and forming are processed separately, so the forming mould smoothness can be maintained for a long term (a few months using 24 hours a day) to ensure the high sample smoothness. If the crucible is also used as the forming mould, the crucible internal wall becomes rough due to the destruction of platinum crucible by sample during fusion process which should be polished after a few days (losing platinum). However, the smoothness homogenization can’t be guaranteed without ensuring the polish and use frequency.◆Superior reproducibility Fully automatic, superior accuracy, homogenization and smoothness ensure the superior reproducibility of the sample; different samples prepared with the same preparation process by this fusion machine are uniformly the same except for the differences in composition.◆Productivity Up to 4 samples can be fused simultaneously (maximum 6 samples if required by user).The maximum throughput is 36 sampleshour.◆Environment friendly and energy saving No water consumption, no electromagnetic field radiation hazardous (such as high frequency), no gas, no toxic products (such as gas type), no high power supply (such as high frequency and previous electroheat). 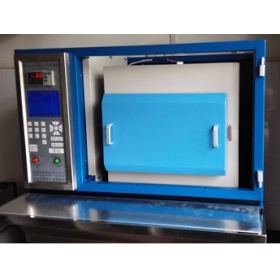 With the newest insulation material and compact fusion chamber design, the energy consumption is the lowest.◆Convenient use Menu operation; real-time temperature and process large-screen display; Sample preparation process free of supervision; more than 10 preset heating sample preparation programs available; Heating process, temperature rise speed, pre-oxidation temperature, final temperature, crucible rotation speed, rotation starting temperature, cooling time, fan or not, air volume can be preset. Press [Start] button after the program selection, one-button operation.◆High reliability Heating with double helix silicon carbide rod; simple circuits and structure ensure the high reliability of the fusion machine;With minimum start temperature alarm;Automatically switching off power and setting alarm for overcurrent and overheat; Independent temperature measurement thermocouples are used for overheat protection and heating control; Together with the heating control circuit, they can form treble protection of the system and can make the power switch-off protection for overheat more reliable.◆High performance-to-price ratio Low price, no consumable. Extremely low maintenance and repair cost. Elegant and compact design occupying small laboratory space, versatility and high performance. Product with real high performance-to-price ratio.技术指标：1. 加热单元：3根双螺旋单端硅碳棒；2. 最高使用温度：1250℃，连续可调；3. 测温单元：2根铂铑热电偶，最高测温1600℃；4. 容量：同时熔融4个样品（可根据用户要求增加到6个）；5. 制样速率：20～36个样品小时；6. 额定功率：5000W；7. 电源：AC380～415V，三相，50～60Hz；8. 尺寸（高′宽′深）：600mm′1100mm′640mm；9. 重量：110kg。Technical Specifications:1. Heating unit: 3 pieces of double helix ,single-end, silicon carbide rod.2. Maximum usable temperature: 1250℃,continuously adjustable.3. Temperature measurement unit: 2 pieces of platinum-rhodium thermocouple, with maximum measurable temperature 1600℃.4. 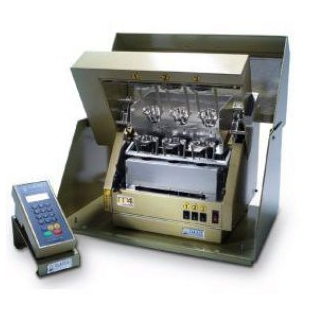 Capacity: 4 samples simultaneously (maximum 6 samples if required by user).5. Throughput: 24～36 samples/hour.6. Wattage: 5000W.7. Power supply: AC380～415V，三相，50～60Hz.8. Dimension(Height x Width x Depth): 600mm′1100mm′640mm.9. Weight: 110kg.公司简介：上海宇索实业有限公司（其前身为上海宇索电子科技有限公司）是国内最早成立的专业从事熔融设备研制的企业。公司由长期致力于X荧光分析仪销售服务和研究开发的技术人员合资成立。公司的创办者在长期的X荧光分析仪的销售服务和研究开发中深切地体会到样品制备对荧光分析的重要性，而最好的样品制备方法就是玻璃熔融法，但当时国内所采用的熔融设备均依赖进口，价格又非常昂贵，所以成立了本公司。本公司技术力量雄厚，拥有科技人员多名，其中高级工程师3名，博士1名。公司在2002年成立后的短短一年时间里，就开发完成了填补国内空白的DY501型电热熔融设备。2008年初，本公司最先在国内推出了达到电热熔样机制造技术新高蜂的DY521型全自动熔样机。2013年底，本公司又最先在国内推出了DY511型全自动多头熔样机。至2013年，DY系列电热熔样机的用户已达数百家，并受到用户的一致好评。现正在研究开发金属熔样机等其他熔融设备，并将于近几年陆续推向市场。本公司是样品熔融的专家，分析的好帮手。Company ProfileShanghai Yusuo Industry Co. Ltd.(formerly Shanghai Yusuo Electronic S&T Co. Ltd.) is the earliest enterprise focusing on manufacturing and researching fusion machine.It is established by the experienced people who focus on the sales, service and research of X-Ray fluorescence analysis instrument many years. 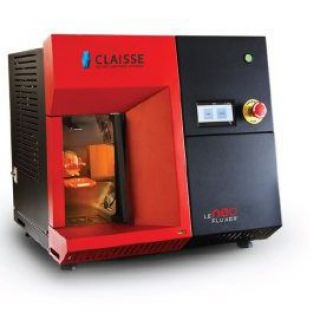 Company founder deeply realized the importance of sample preparation on XRF analysis, and the best method of sample preparation is the bead fusion method, but the fusion machine was used in domestic are dependent on imports, the price is very expensive, so the establishment of the company.The company has strong technical strength, with the technological staff, including 3 senior engineers, 1 doctor. The company was founded in 2002 and the span of a year, on the development of the DY501 electroheat fusion machine to fill the domestic blank. 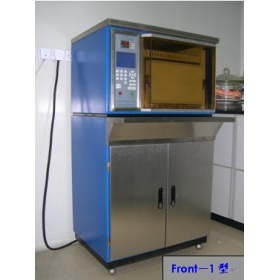 At the beginning of 2008, the company was the first in the domestic launch of the electroheat fusion technology to the new peak of DY521 automatic mini electroheat fusion machine. 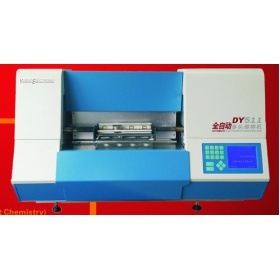 By the end of 2013, the company was the first in the domestic launch of the DY511 automatic electroheat fusion machine which is full automatic multi-sample fusion machine. Till now, DY series of electroheat fusion machine have hundreds of users, and by the user's consistent high praise. The metal fusion machine and others are under developing, and will be on the market in recent years.Yusuo, the expert on bead fusion, your assistant on analysis. 仪器简介：◆可4个样同时熔融，自动摇摆，自动控制； ◆成型模具自动加热，自动冷却，自动成型； ◆大屏幕中文显示，过流过温自动报警切断； ◆可自由设定加温过程，预存多个加温程序。 X射线荧光分析对于粉末样品，目前采用直接压片法制备试样较为普遍，但由于粒度、矿物、偏析等效应的影响，势必带来分析误差，降低元素分析的精密度与准确度，样品制备已经成为一个主要的误差因素。玻璃熔融法制成的试样能消除试样的粒度、矿物、偏析等效应，同时也可降低样品元素间的吸收和增强效应，会明显提高分析的精度和准确度。对于ICP、AA和湿法化学分析手段，对于难溶样品，熔融方法同样是一种非常完美的制样手段。 多年来国内所采用的熔融设备均依赖进口，价格非常昂贵，针对这种局面，本公司科研人员于2002年开发完成了填补国内空白的DY501型电热熔融设备。它吸取了当今国际市场上同类制样设备的优点，其主要性能达到甚至超过国外同类产品。由于其优异的性能和合理的价格，定将取代进口产品，并使原来由于经济原因暂不用熔融设备的用户也能使用它。DY501型电热熔融设备的推出，定将迅速普及熔融制样法，从而提高我国分析界制样的水平，为各行各业带来巨大的经济效益。 Four samples fused simultaneously, with auto-shaking and auto control Auto control means the melting, shaking and standing steps are all precisely repeatable Large screen display; auto-alarm and automatic power switching off for overcurrent and overheat Customizable heating process, with several heating programs preset Currently, powdered samples for X-ray fluorescence analysis are usually directly pressed into sample pieces. But that kind of sampling has become a major error factor impacting the precision and accuracy of the element analysis due to the granularity effect, mineral effect and segregation effect of the sample pieces. The bead fusion method can eliminate the granularity, mineral and segregation effects of the samples, and can reduce the absorption and enhancement effects between the elements in the sample, and hence evidently increase the precision and accuracy of the analysis. This bead fusion method is a perfect sampling method for ICP, AA, as well as for indissolvable samples in wet chemical analysis. For many years, the fusion machine used in China were all imported from abroad at very high price. 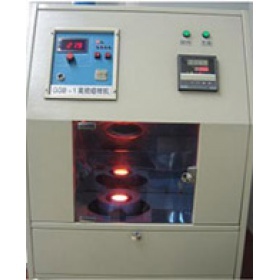 To fill up that gap in Chinese science and technology, the research and development personnel in our company developed the DY501 Electroheat Fusion Machine in the year 2002. This fusion machine absorbed the advantages of all the fusion machine of the same kind in the international markets, with key properties up to or even better than those of the overseas products. With its excellent performance and reasonable price, it will take the place of the imported products and can be affordable for the users which are currently not using fusion units just because of economic reasons. 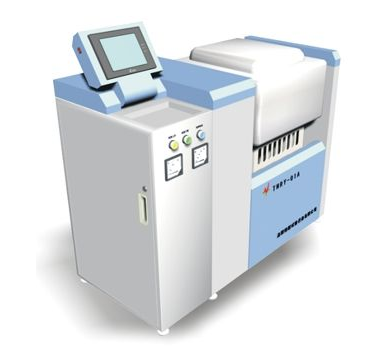 The popularization of the DY501 Electroheat Fusion Machine will rapidly promote the bead fusion method in China and hence improve the sampling quality of the element analysis, which can bring tremendous economic benefit for every industry or trade.技术参数：加热单元：3根双螺旋单端硅碳棒； 最大温度：1250℃，连续可调； 测温单元：2根铂铑热电偶，最高测温1600℃； 容量：同时熔融4个样品（可根据用户要求增加到6个）； 功率：6kw; 电源：380-415V,50-60Hz，三相; 尺寸（高×宽×深）：500mm×1217mm×500mm; 重量：115kg. 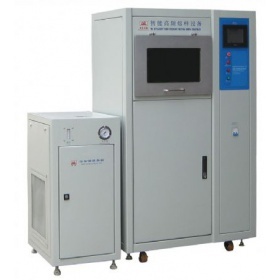 Heating unit: 3 pieces of double helix ,single-end, silicon carbide rod Maximum Temperature: 1250℃,continuously adjustable Temperature measurement unit: 2 pieces of platinum-rhodium thermocouple, with maximum measurable temperature 1600℃ Capacity: 4 samples simultaneously (maximum 6 samples if required by user) Wattage: 6kw Power supply: 380-415V,50-60Hz，three phase Dimension(Height ×Width × Depth): 500mm×1217mm×500mm Weight: 115kg主要特点：◆采用CPU微机及PID控制技术，大屏幕中文显示,菜单式操作； ◆双螺旋硅碳棒加热，铂铑热电偶测温； ◆最多可同时熔融4个样品（可根据用户要求增加到6个）； ◆可预先自由设定最多达10个加热制样程序，其加热过程，升温速度，最终温度，坩埚架摇摆时间、幅度、速度，冷却时间，是否用风扇，风量大小等均可预先设定； ◆除熔融样注入成型模具采用手动外，其他均自动控制，保证了样品的一致性和均匀性，真正做到不同样品仅是其成分不同而没有其他不同； ◆坩埚及成型模具的支架采用耐高温合金钢制成,保证在高温状态下无任何化学反应； ◆熔样室盖打开装置采用链轮杠杆结构，操作轻松自如； ◆具有最低启动温度报警，打开熔样室断电?；?； ◆具有过流、过温断电?；げ⒈ň?，并且过温断电?；げ捎糜爰尤戎蒲懒⒌娜鹊缗疾馕?，与加热控制电路一起组成三重?；?，使过温断电?；じ煽?。 Applies CPU microprocessor and PID control technique, large screen Chinese display, and menu operation Heating with double helix silicon carbide rod; temperature measured with platinum-rhodium thermocouple Up to 4 samples can be fused simultaneously (maximum 6 samples if required by user) Up to 10 customized heating programs can be preset; within the programs, the heating process, the temperature increase speed, the final temperature, the shaking time, shaking amplitude, and shaking speed of the crucible stool, the cooling time, whether to use fans, the air flow, and so on, all can be preset. Automatic control in all the process except for the filling of the fusion sample, enabling the sameness and homogeneity of the sample; all samples are uniformly the same except for the differences in composition The bracket of the crucible and the mould are made of high temperature alloy, which guarantees no chemical reaction in high temperature Chain wheel lever structure is used in the opening device of the cover of the fusion room, trouble-free for user operation With minimum start temperature alarm and power switch-off protection when the cover of the fusion room is open Automatically switching off power and setting alarm for overcurrent and overheat; independent temperature measurement thermocouples are used for overheat protection and heating control; together with the heating control circuit, they can form treble protection of the system and can make the power switch-off protection for overheat more reliable. 仪器简介：◆在国内最先推出的可自动倒样的全自动熔样机； ◆达到电热熔样机制造技术新高蜂的革命性成果； ◆相比高频，无需水冷、也没有电磁场辐射危害； ◆制样速率与高频相当，但电耗仅为其一半不到。 ◆The first fully automatic fusion machine in China even the filling of the fusion sample; ◆Revolutionary result reaching the new peak of technic of manufacturing fusion machine; ◆No fluid coolant required,no harm of electromagnetic radiation comparing with High Frequency induction; ◆Same throughput,half energy consumption comparing with High Frequency induction. 玻璃熔融法制成的试样能消除试样的粒度、矿物、偏析等效应，同时也可降低样品元素间的吸收和增强效应，会明显提高分析的精度和准确度，是目前X射线荧光分析的最佳制样方法。对于ICP、AA和湿法化学分析手段，对于难溶样品，熔融方法同样是一种非常完美的制样手段。 熔样机随着近几年来国内生产厂家的涌现和推广而在国内得到一定量的应用，但相比先进国家使用率还太低，主要是因为国内的熔样机质量还太差，价格还不够便宜。 DY521型全自动熔样机是本公司科研人员在公司原有熔样机和当今国际市场上同类制样设备的基础上，研制完成的达到电热熔样机制造技术新高蜂的革命性成果，是在国内最先推出的可自动倒样的全自动熔样机。由于其优异的性能和便宜的价格，定将使原来由于经济原因暂不用熔样机的用户也能使用它。DY521型全自动熔样机的推出，定将迅速普及熔融制样法，从而提高我国分析界制样的水平，为各行各业带来巨大的经济效益。技术参数：最高使用温度：1250℃，连续可调； 测温单元：2根铂铑热电偶，最高测温1600℃； 制样速率：5～7个样品小时； 额定功率：1200W； 电源：AC220～240V，50～60Hz； 尺寸（高×宽×深）：430mm×410mm×430mm; 重量：27kg。 Maximum usable temperature: 1250℃, continuously adjustable; Temperature measurement unit: 2 Pt-Rh thermocouples; Throughput: 5～7sampleshour; Wattage: 1200W; Power supply: AC220～240V, 50～60Hz; Dimension(Height × Width ×Depth): 430mm× 410mm× 430mm; Weight: 27kg。主要特点：◆全自动 整个制样过程完全自动进行，包括将熔样注入成型模具中。 ◆高精度 坩埚和模具由完全独立的加热系统加热，采用铂铑热电偶测温，直接接触坩埚和模具，对坩埚和模具中的熔融温度达到准确和精确的测量和控制。 ◆高均质化 坩埚在旋转时倾斜着，保证在最短的时间内有效地搅动熔样，使熔样达到极高的均质化。 ◆高光洁度 熔样成型分开进行，模具的光洁度能长期保持较高（几个月），保证了样品的高光洁度。若坩埚同时兼作模具，则样品在熔融过程中对铂金坩埚的破坏使坩埚内壁会变得粗糙，一般几天得抛光一次（还会损失白金），但由于不能保证抛光和使用的频率，光洁度的一致性就得不到保证。 ◆高再现性 全自动、高精度、高均质化和高光洁度保证了样品的高再现性，从而真正做到经本熔样机同一制样程序制备的不同样品仅是其成分不同而没有其他不同。 ◆高产量 二个样品可重叠处理，即在前一个样品冷却的同时对第二个样品进行加热，从而节约了时间，提高了制样速率。 ◆环保节能 无需用水也没有电磁场辐射危害（如高频），无需用气也没有有毒产物（如燃气式），无需大功率电源（如高频和以前的电热式）。采用最新的保温材料，最小巧的熔样室设计，使耗能小于普通的电吹风。 ◆使用方便 即插即用，无需安装，你只需一个220V、10A的普通插座。 菜单式操作，实时温度、过程大屏幕显示，制样过程中无需人工监视。 可预先自由设定最多达10个加热制样程序，其加热过程、升温速度、预氧化温度、最终温度、坩埚旋转速度、旋转起始温度、冷却时间、是否用风扇、风量大小等均可预先设定。选定程序后只需按[开始]键即可，真正实现一键操作。 ◆高可靠性 应用最简单的电阻丝加热原理，电路、结构简单，保证了熔样机的高可靠性。 ◆高性价比 价格便宜，无需耗材，维护维修成本极低。精致而紧凑的设计，占用很小的实验室空间。功能强大，性能卓越。是真正的高性价比产品。 ◆Fully automatic Even the filling of the fusion sample. ◆Superior accuracy Completely independent heaters for crucible and mold for optimal temperature control and measure. ◆Homogenization Crucible is rotated while inclined, efficient agitation and superior homogenization of the melt, in less time. ◆Smoothness Fusing and molding are processed separately. ◆Superior reproducibilityFully automatic, superior accuracy, homogenization and smoothness ensure the superior reproducibility of the sample; all samples are uniformly the same except for the differences in composition. 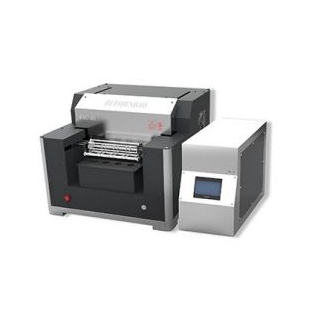 ◆Productivity Overlapped processing of two samples: up to 50% time savings vs. other machines. ◆Economical Minimal heat dissipation: casing remains cool;uses only a regular electrical outlet (consumes less than a hair dryer). Elegant and compact design.Takes up less space in the laboratory. ◆User-friendlyPlug-and-play: installs in seconds. 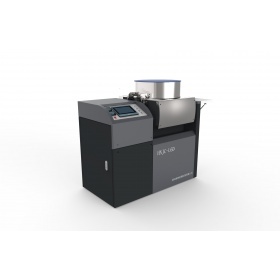 Virtually maintenance-free; easy component access.Real-time temperature display,Operates free of supervision.Easy loading of crucibles,molds and beakers.10 independent and user-customizable programs available. ◆Reliable Made with an electrical Joule-effect . 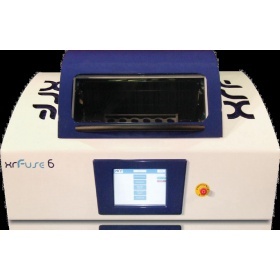 ◆Versatility XRF, AA and ICP fusion machine: both disk and solution unitsincluded. Can also readily do peroxide or pyrosulfate fusions.